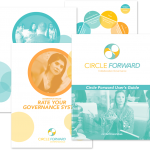 Circle Forward is a system for collaborative governance. Its methods and tools enable networks and organizations to design their own inclusive and equitable governance systems around the principle of Consent. Around the globe, people are increasingly aware that the systems that are supposed to serve us are creating unacceptable negative consequences — like the systems around food, energy, healthcare, education, and criminal justice, for example — and that the root of the problems are in the systems, which are inadequate for 21st century realities. We are recognizing that we are fundamentally interdependent — that these large-scale problems cannot be solved by any individual or single entity, no matter how large or powerful. So, we are coming together, working in networks across boundaries and sectors, from the grassroots to the grasstops, challenging the old ways that excluded people from power, and aligning our strategies toward common goals. 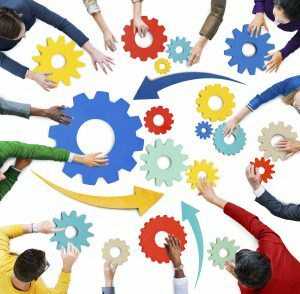 Our efforts require us to collaborate like never before, in non-hierarchical arenas where top-down decision-making does not work and attempts to do so makes things worse. Circle Forward is a system of collaborative governance designed for networks and organizations that wish to succeed in networks, to optimize the activities, relationships, and interactions among the various components of the systems we are changing. Circle Forward provides a framework of essential principles and tools, to address power dynamics, make decisions, and create adaptive strategies in complex and emergent conditions. As a brand, Circle Forward exists to help organizations and networks express solidarity with a common set of values, assumptions, and principles for collaborative governance. And, to become part of a growing network who are shaping those values, assumptions and principles, through their application of the methods and tools.